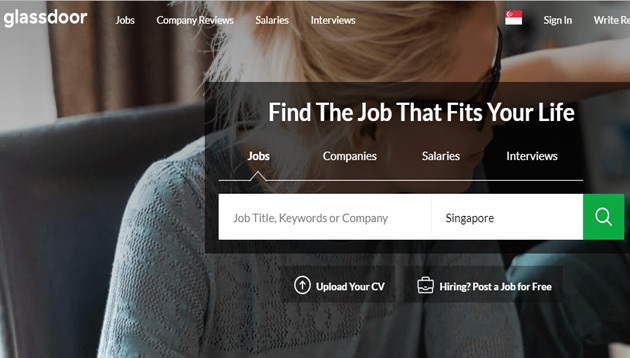 Job and recruiting major, Glassdoor has made an entry into Singapore, Hong Kong and New Zealand through localised websites and mobile apps. While no physical office has been set up in Singapore, the announcement marks its foray into APAC, on top of the existing local sites in India and Australia. 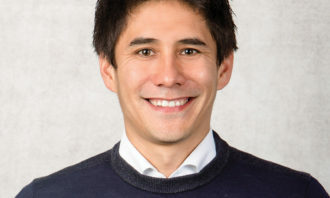 Headquartered in California and founded in 2007, Glassdoor operates as a part of Japan-based Recruit Holdings’ growing HR technology business segment. It provides a platform for job listings, company reviews, CEO approval ratings, salary reports, interview questions, and more. Glassdoor uses a ‘give-to-get’ model, offering free access to all data once someone contributes their own content, such as a company review or salary report. This model helps reduce the likelihood of extremely positive or negative reviews and encourages more balanced company ratings. Currently, reviews and insights are hosted for over 830,000 companies in more than 190 countries. The current average company rating is 3.43 on a five-point scale. Glassdoor also partners with 7,800 employers, while there are 175,000 employers using a Glassdoor Free Employer Account. Q. Congratulations on the launch! Does Glassdoor presently have a workforce in Asia? We do not have any employees in Asia. We have locations in California (Mill Valley and San Francisco), Chicago, Ohio, Dublin and London, plus our South American subsidiary, Love Mondays, in Sao Paulo. Q. Are there any near-term plans to build an on-site team in Singapore or in the region, and if so, what roles might Glassdoor be considering? It’s inevitable that we will set up an office somewhere in the region in the not-too-distant future, and when we come to make that decision, the location of our clients will be a big consideration. From that point of view, Singapore would have to be a front-runner for a South-East Asia hub because a lot of the major employers in the country are already Glassdoor customers in other markets. Plus, of course, it is a talent-driven economy, so well placed to support a jobs and recruiting company like Glassdoor. If we did open an office here it would initially consist of sales, account management, customer success, marketing and PR, plus additional business functions like HR and recruiting. Q. Presently, Glassdoor’s APAC presence is in Australia and India. What’s the reasoning behind choosing Singapore as the next-in-line? Singapore is a really interesting market for us because visits from people here are already relatively high for the size of the country, which suggests there is a strong appetite for our jobs, reviews and insights. Q. What other Asian countries are on your radar for growth? Hong Kong initially and then potentially markets such as Malaysia and the Philippines, all of which are countries where we have relatively high traffic and reviews and insights from local job seekers and employees. 92% say job realities tend to differ from expectations set during the interview process. 86% report they wish they had a better understanding of what fair pay is for their position and skill set both at their company and in their local job market. 85% report they would find reading employee reviews helpful when deciding where to work. 83% say finding the right workplace culture would be more important to them than earning more money when searching for a job. 72% of job seekers report they did not negotiate their salary and accepted the salary offered in their current or most recent job offer. 61% of job seekers and employees in Singapore are currently looking or plan to look for a new job in the next year. As we get set for the Aidilfitri weekend, here's a hat tip to our favourite out-of-office messages received from the HR fraternity..